When your dog is bitten by another dog, it can feel as if your own child has been hurt. Most people love their family pets dearly and treat them as if they’re a member of the family. Unfortunately, not every pet owner follows proper pet care guidelines and some even ignore Philadelphia’s leash laws. 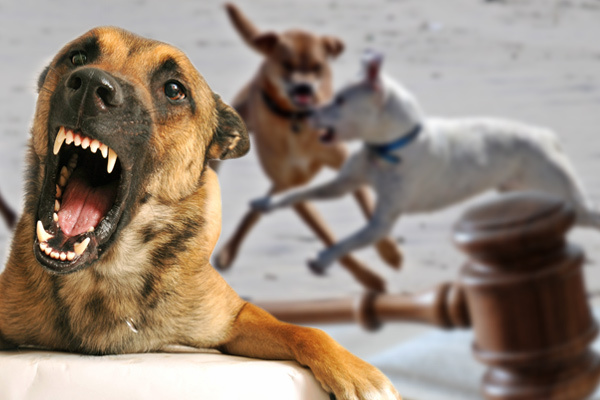 If you’ve been in this situation and your pet was injured or killed, you may want to look into filing a dog bites dog lawsuit. When a dog is bitten by a dog, treatment for the wounds is often necessary. The vet will examine the injuries and may need to take x-rays to check for broken bones or perform other diagnostic tests. The primary concern is often puncture wounds from the other dog’s teeth, though some breeds will shake their jaws as they attack. Pit bulls are known for this behavior, and their bites have been likened to shark attacks because they do a lot of tearing damage. Some canines have very powerful jaws that can crush tender tissues as well, and this may cause damage that cannot be seen by the naked eye. Your vet may need to debride and irrigate wounds so that they are clean and will heal properly. Depending on the severity of the injuries, sutures may also be necessary, and antibiotics will likely be prescribed. When your dog is bitten by another dog, treatment compensation may be awarded by the courts, though they will consider what they believe to be “prudent.” In other words, you may not be able to receive repayment for a $15,000 surgery for an aging pet or be repaid for a $5,000 surgery when a $2,000 option was available. Much of this is at the discretion of the court. The bitten dog isn’t the only one who suffers, and the courts know this. Depending on the severity of the incident, you may also be awarded a settlement that includes payments for your pain and suffering or mental anguish. This is typically reserved for cases that are especially gruesome, or if the pet does not survive its injuries, though courts around the country have ordered payments to pet owners when someone else’s negligence directly caused injury or death. If you or your child was bitten by a dog, the compensation available could include losses and damages, which include the expenses from when your dog is bitten by another dog as well. The experts at Philadelphia Dog Bite Lawyer generally focus on cases where people were injured, though the costs of your pet’s injuries may be rolled into the same lawsuit, too. For more information on what reparations a court may award you, reach out to any of the professionals listed on this site and request your free consultation today.